Lionesses of Africa Public Benefit Corporation is a social enterprise working to advance Africa’s women entrepreneurs, by building and delivering entrepreneur development programmes, mentoring programmes, business tools, digital media channels, community platforms, networking events and information resources. Delivered at scale to women entrepreneurs, always free of charge. Lionesses of Africa creates impact by growing the next generation of women entrepreneurs across Africa. By supporting women to achieve their start-up dreams, we empower them to generate economic prosperity, to improve their communities, and to become game-changers Africa needs to solve pressing socio-economic problems. Lionesses of Africa has over 750,000 users across 54 African countries and also reaches tens of thousands of users in the Diaspora in Europe and North America. It is on target to reach the goal of empowering ONE MILLION women entrepreneurs across Africa. Lionesses of Africa launched on 19 November 2014 on the first ever Global Women’s Entrepreneurship Day. Lionesses of Africa's launch was inspired by the realisation that, just as for the prides of lionesses that live and hunt on the plains of Africa, life is a daily battle for survival for women entrepreneurs. 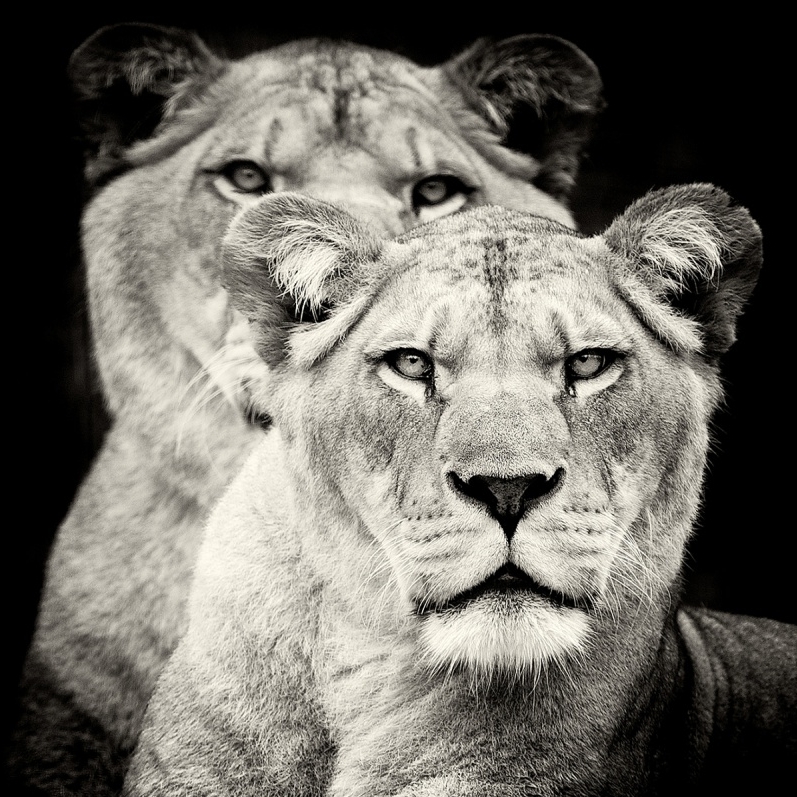 In their quest to survive and thrive, women entrepreneurs can learn a lot from lionesses and their pride dynamics. How they hunt as a group to bring down the biggest prey; how they raise and coach their young; how they protect the group; and how they collaborate in order to survive even the harshest environments. Melanie is on a mission to drive large-scale change for Africa's women entrepreneurs, the most underserved on the planet. She believes it is possible to support the development of a new generation of women entrepreneurs who can become the change agents Africa so badly needs. An entrepreneur most of her life, Melanie has over 30 years experience in media, publishing, and communications. She is now harnessing this expertise to build a powerful network of women entrepreneurs committed to sharing, inspiring and connecting with one another for accelerated success. Melanie passionately believes it’s time to provide the support, the business tools and inspiration to ensure the next generation of women-led businesses in Africa can flourish and fulfil their potential. Lionesses of Africa believes that impactful, sustainable solutions can only be built from the ground up by the women entrepreneurs of Africa themselves. Campaigns and initiatives designed in boardrooms across North America and Europe, dropped into Africa as 'silver bullet' solutions invariably deliver disappointing results. Too many of these initiatives replicate the 'Aid Industrial Complex' mindset that has shown itself incapable of creating sustainable change that benefits Africa. Our approach for developing programmes is grounded in the deep insights we learn from hundreds of thousands of users across Africa and our face-to-face interaction with tens of thousands of women in their cities each year. It is the collective voice of these women entrepreneurs that directly shapes the programmes we build to support them. This approach gives us confidence that we can deliver what women entrepreneurs truly want and need. Importantly, our programmes are also delivered by Africa's women entrepreneurs themselves, harnessing their incredible energy and hard won knowledge. For Africa's women entrepreneurs, by women entrepreneurs is the guiding ethos that shapes everything we do to catalyze sustainable impact. OUR MISSION IN ACTION. DELIVERING A WORLD OF ENTREPRENEUR RESOURCES, MADE AVAILABLE TO AFRICA'S WOMEN FOR FREE. Lionesses of Africa builds and delivers entrepreneur development programmes, mentoring programmes, business tools, community platforms, digital media, networking events and information resources that women entrepreneurs really want and need. Delivered at scale, ALWAYS FREE OF CHARGE. Collectively, these programmes and tools provide a powerful base that our community is built on. 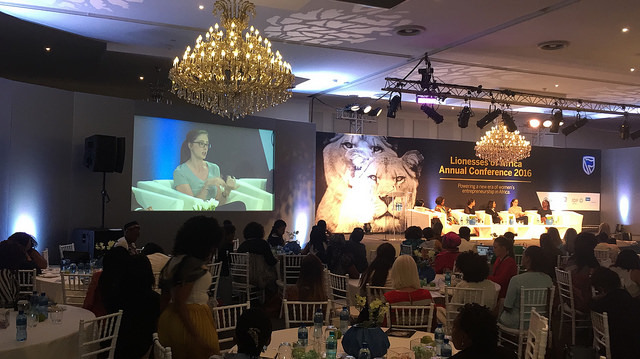 Lionesses of Africa funds its operations through ‘Impact Partnerships’, working with organisations who share a commitment to our cause of advancing Africa’s women entrepreneurs. Impact partnerships allow us to develop, build and scale a portfolio of initiatives and deliver them to Africa's women entrepreneurs free-of-charge. Our team is always ready to discuss partnership opportunities for building out programmes that we know women entrepreneurs want and need. Contact us about partnership opportunities. There is an African proverb that says “it takes a village to raise a child”. At Lionesses of Africa we similarly believe it takes a community to raise and support an entrepreneur. This is why community is at the heart of everything we do. And, just like any thriving village in Africa, we recognise that it is critical to include all community members, from the elders right down to the energetic, young aspirants. We are very proud to count among our members those women entrepreneurs, our 100 Lionesses, who are at the very top of business and are now helping to send the elevator down to the next generation. Through to our emerging generation of high growth potential women entrepreneurs who are busy scaling successful business. Right down to our Young Lionesses, who aspire to launch their first business venture. Amongst this cross-section of women exists a strong camaraderie that comes from a shared, first hand experience of knowing that the world is tough out there for women entrepreneurs in Africa. None of our community members individually has all the answers, but their collective knowledge and experience is an invaluable resource we all draw upon. LIONESSES OF AFRICA AS AN ORGANIZATION IS IMPACT OBSESSED. WE RIGOROUSLY MEASURE AND EVALUATE EVERY ASPECT OF OUR WORK TO CREATE IMPACT FOR WOMEN ENTREPRENEURS IN PARTNERSHIP WITH OUR IMPACT PARTNERS. We don't believe in silver bullets and have a multifaceted approach to creating programmes and impact. We deliver free to use information and education resources to our 600,000+ community; we profile thousands of start-up stories, new launches and co-labs of our members; we ran 54 networking events across 15 African cities in 2017 for over 6,000 women; we provide world-class training to women through our accelerators; we deliver a 12 month mentoring programme to our high-growth potential members; we drop over 2 Million newsletters a year promoting our users and their products and services around the world; we provide powerful access to market and capital programmes for our members at our high profile international events; we raise the voice of Africa's women entrepreneurs through our blogger platform and campaigns. These are just some of the ways we are practically advancing Africa's women entrepreneurs. And, we're just getting started! DELIVERING A WORLD OF ENTREPRENEUR RESOURCES. AVAILABLE TO AFRICA'S WOMEN FOR FREE.